Garage door openers should be kept in excellent condition at all times. We ensure flawless service whether you need repair or maintenance. Getting high quality garage repair services is important to ensure your unit is functioning properly and certainly we help you with this. 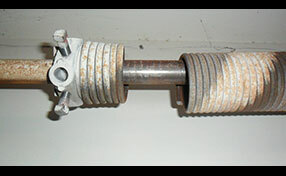 Your garage door spring problem will affect your whole day. Our marvelous team will efficiently resolve your problem in a very short time. 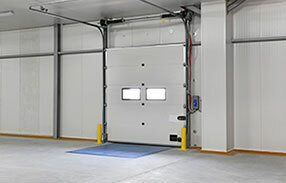 Care to maintain your overhead door and need some good tips? Get the most amazing ones here. If you insist on doing garage door repairs on your own, the least you can do is get the right equipment, wear safety glasses and thick gloves. Our experts remind you to remember disconnecting the opener before repairs and keep the door open with c-clamps. We hardly give any attention to garage door hinges unless we see how rusty they get. It's important to remember that hinges keep the sectional doors together. They're the connecting parts with the rollers. They must be checked and tightened often and changed before they get too rusty. The garage door tracks should be kept clean and free from any debris. Our technicians advise using a level to check on the plumb. However, major adjustments should not be done by unskilled persons especially in cases of bent and damaged garage door tracks for that may lead to further damage. You need to properly lubricate your door to keep it functional, reduce the noise, and lengthen its lifespan. Beware, however, that some parts should not be sprayed on with a lubricant. It's always the best to use the manufacturer's instructions and recommendations in case you are not sure.